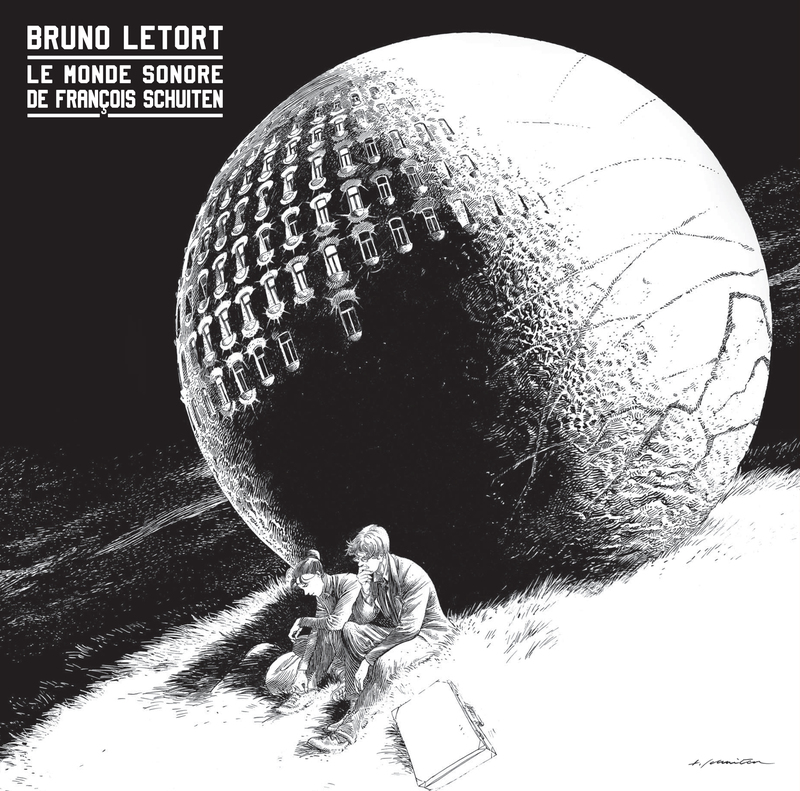 Le Monde sonore de François Schuiten is a double vinyl LP record by Bruno Letort. It is published by the comic shop Brüsel in November 2014. 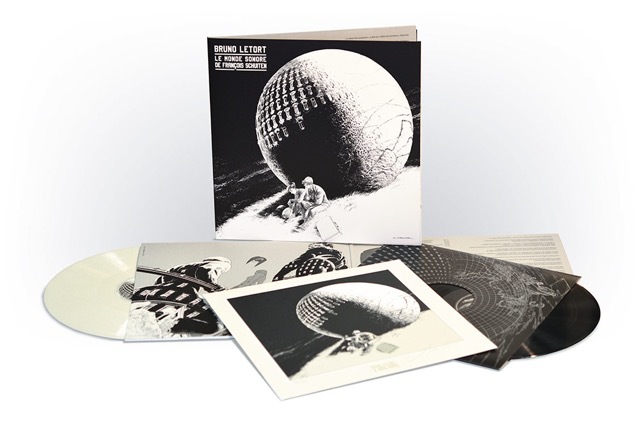 The double LP record is made of 180 gr vinyl. One white and one black. The record is limited to 276 copies. Numbered 1 -250 for sale and A - Z for the authors. All are signed by Bruno Letort and François Schuiten. The record includes also a code to download the digital version of the album. The digital version is available in several formats like MP3 and FLAC. 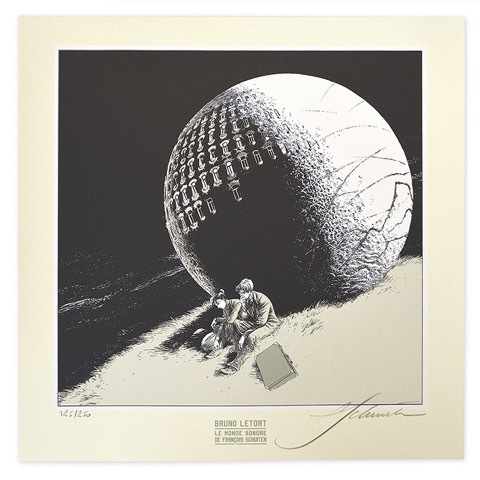 Together with the album there is a signed and numbered ex-libris by François Schuiten. The ex-libris is numbered 1 - 250 and A - Z hors commerce. The original selling price is 149 euros 1). Listen to a short part of the record.